Brands are forever innovating and vying to create the latest greatest formula, whether that’s for lips, eyes, nails, skin or anything for that matter. Today we’re talking lips – and it’s L’Oreal who have pipped everyone else to the post with a new lip formula that has all the potential to become the next Chubby Stick in terms of popularity. 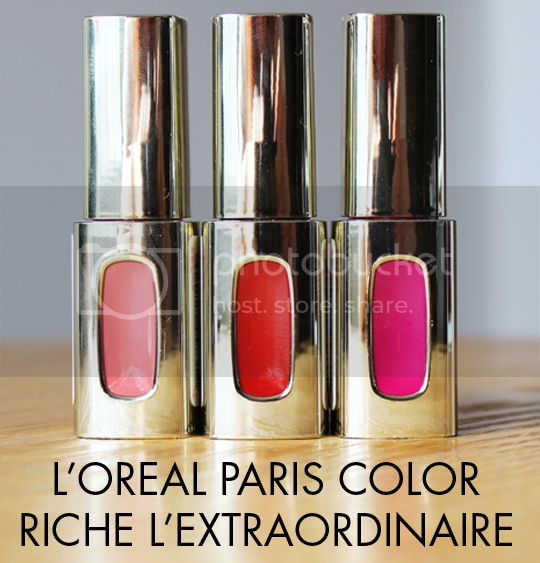 Enter L’Oreal Color Riche L’Extraordinaire*. Now, lipgloss is nothing new, and liquid lipstick is nothing new either. L’Oreal Color Riche L’Extraordinaire is both of those things, and neither of those things. I suppose ‘high-shine liquid lipstick’ is the best way to describe it, but it’s still more interesting than that. While the traditional formula for lip products combines wax and colour pigments, L’Extraordinaire eschews wax altogether and in an unprecedented move, combines the colour pigments with a blend of oils instead. The oil blend in question features antioxidant argan oil, soothing lotus flower oil, hydrating camelia seed oil and proctecting rose canina fruit oil. Not only does this sumptuous quartet serve to protect and nourish the lips, but the combination of the oils and pigments creates a super glossy high-shine finish on the lips, acting like a magnifying glass to amplify the lips and give them a plumper, healthier appearance. For once, all the marketing gumpf surrounding a release actually lives up to what it says. I’ve been road-testing these for a few weeks now and honestly can’t get over how much I love them. My favourite is, surprisingly, Rouge Soprano. As someone who usually shies away from a bold lip, this has helped ease me back in to bright colours and I’ve sported this shade several days in a row now. These lovely lip wonders feel great on the lips – none of the stickiness traditionally associated with glosses, and none of the greasiness you can sometimes get with oil based products. The colours fade evenly to leave a slight stain on the lips after about 4 or 5 hours, but to increase longevity and the boldness of the look, I like to apply them over a matching lipliner. L’Oreal Color Riche L’Extraordinaire lip colours are out now and available in Boots and Superdrug, costing £8.99 each with a total of 9 shades in the range. 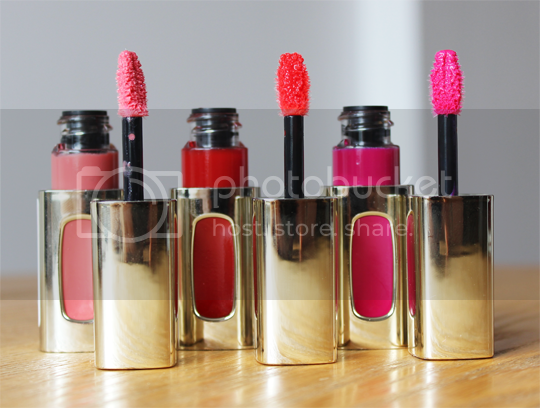 Rouge Soprano is a definite repurchase for me! I want Fuchsia Drama & Rose Melody. And maybe Rouge Soprano, too, lol!